Peter Konyegwachie (born November 26, 1965 in Lagos) was a Nigerian boxer. He hails from Ogwashi-Uku, the town that also produced another sport(football) great, Austin “Jay Jay” Okocha.The town is the headquarters of Aniocha South Local Government Area of Delta State, Nigeria. He attended Adaigbo Secondary School. At the 1984 Summer Olympics he won Nigeria’s first ever silver medal in the men’s Featherweight (54–57 kg) category. 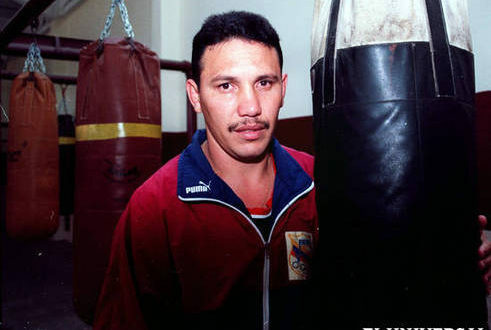 Konyegwachie turned pro in 1986 and won his first 15 fights prior to getting stopped by a journeyman in 1990. He retired after the bout at 15-1-0.